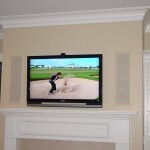 The clarity, accuracy and performance of our full line of In-Wall / In Ceiling Speakers are designed to integrate into any room decor with there slender flush mount paintable surface. 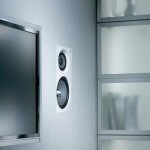 The swivel tweeter creates high fidelity big sound from a small concealed speaker to the listening area. 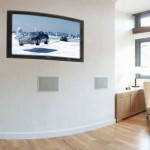 They are an excellent choice for multiroom applications and for all channels of a complete home theater system. 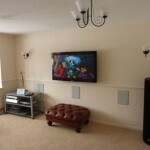 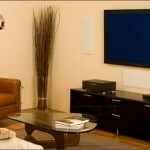 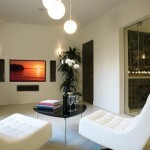 We provide complete installation services on most of the in-wall speakers in the market. 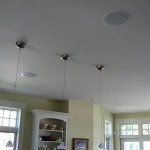 For information on our In-Ceiling / Wall speakers or installation options please call us at 647-380-0876. 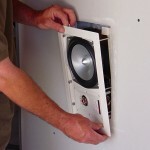 See also our the in-wall speakers available in our store. 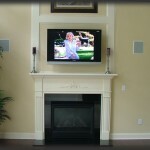 For new Wiring through finished ceiling, basement or attic please call for an estimate.